Life already has its fair share of surprises, not all of them pleasant, which is why we want to offer you the reassurance that no matter what happens you can always have a Nissan you can feel proud of owning. Choosing a Nissan Approved Bodyshop will not only guarantee you the best possible service, but also prevent the experience of getting your vehicle back on the road being a difficult one. In the majority of insurance policies it’s your right to pick where your Nissan is repaired – so call Nissan Accident Support on 0800 015 3248 for guidance on the process. No matter your plight, we’re here to help. Only the best will do when you bring your Nissan in to a Nissan Approved Body Shop. From the latest equipment, to top class materials, to the service our technicians provide – every last detail is taken into consideration, guaranteeing that your Nissan will leave the Bodyshop looking as good as it did when it left the factory. Any Nissan that’s repaired at a Nissan Approved Bodyshop will be restored to Euro NCAP safety standards. Euro NCAP is the independent body that tests all vehicles for both passenger and vehicle safety in the event of a crash. Our technician’s thorough knowledge of complex Nissan design ensures your vehicle is in the best place to be restored to its previous condition without compromising on those safety standards. Choosing a Nissan Approved Bodyshop will give you the reassurance that high quality parts are used to restore your Nissan. All our parts have undergone rigorous testing to guarantee optimum performance and reliability once fitted. Plus they come with a 12-month warranty. Our team of highly-skilled franchised technicians, have attended a number of specialist training courses so they know everything there is to know about servicing and repairing Nissans. Any repair carried out at a Nissan Approved Bodyshop carries a Three Year Guarantee. 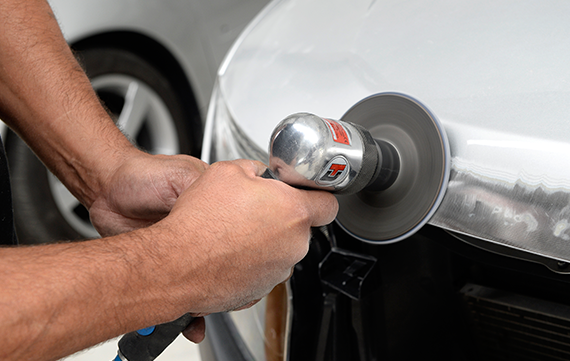 Plus using a Nissan Approved Bodyshop makes sure you won’t jeopardise your original three year Mechanical Warranty or your twelve year Corrosion Warranty. (i) *For countries not listed above the Towing warranty applies – should your vehicle become inoperative due to a warrantable defect in a country not covered by the Nissan EV Pan-European Roadside Assistance, repair on the spot or towing service, when necessary, to the nearest authorised Nissan Dealer or recharge point is covered. • In the case of repeated non-starts with plausible causes Roadside Assistance service will be provided. • In the case of non-starts (by same driver) without plausible causes no Roadside Assistance will be provided. • Nissan Assistance will be able to make a fair judgment based on best practice experience. Benefits and Services are provided by Nissan Assistance. Nissan Assistance is committed to the fair treatment of all customers and may monitor or record telephone calls for quality assurance purposes. Nissan Assistance is authorised and regulated by the Financial Conduct Authority (FCA). FCA Register number 439069. Nissan Assistance UK Limited (registration 2638890) 106 - 118 Station Road, Redhill Surrey RH1 1PR.